What kind of addons vessels do you want for Ship Simulator? Ship Simulator > English forum > Development corner > What kind of addons vessels do you want for Ship Simulator? What kind of vessels do you want as addons for Ship Simulator? What kind of vessels would you like for Ship Simulator? Re: What kind of addons vessels do you want for Ship Simulator? I voted for more passanger ships as I would really like to see such ships in the game. Probably not the SS08 verson but maybe the SS09 or SS10 verson. Anyway this is one paticular cruise ship I'd like to in the game. 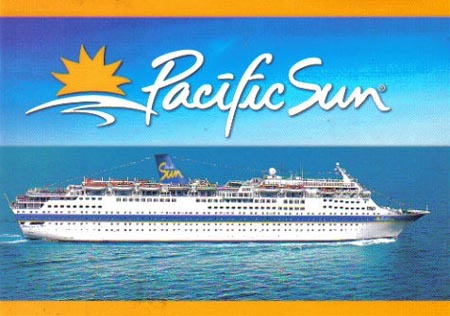 The P&O Pacific Sun. The lighthouse, added in the 1820s to aid navigation for vessels using the deep water channels. It is still in use today and plays a central role in the navigational system for ships entering coastal Harbours. I voted others,because we need lots of different vessels in the game. I think cargo and if here was a second choce Tankers. I think we need more inland cargo and tankers though. But some large ones would be nice also. Hey, the good old Carnival Cruise Liner JUBILEE! Isn't the Fairmount Sherpa allso a ocean salvage tug? Well, I know that but I don't think that it can't do the same things as an ocean salvage tug. Yes the Fairmount Sherpa can be used as an ocean tug (possibly used for salvage), an anchor handling vessel, and a offshore supply vessel. In the future I would like to see a hangar ship, a destroyer and a car carrier (not sure what they are really called). There is one more, but I forgot what its called. Maybe Ship Simulator is the best game ever created??? RNIB - Supporting Blind & Partially Sighted People. I am no longer a member of the Moderation team, so please send any messages about licence key issues to a currently active member of the team. Thank you. Hahah, that would be awesome! Since VSTEP released what kind of ships the SS'08 would get I proposed the integration of tugs with Voith-Schneider or pod/azimot/schottel propulsion. This is interesting and challeging to stear / manouver. Am I the only one who would like to see some sail boats, tall ships would be great. No you aren't the only one to suggest sailing ships, but ss is gearing up more for motor powered ships (who can say for the future though...). I think making sailing ships handle correctly would probably take a lot of development time. Maybe if they try to make large ferries/cargo ships handle correctly and accurately AND sailing ships it may make the programme a little too cumbersome? Join the campaign for 'Pride of Bilbao' and SSE (on one disc).... Model by TFM ship builders.